Nothing is worse than finishing a meal and noticing that your stomach has gotten uncomfortably larger. No, you didn’t just gain five pounds from the last meal you ate, but you’re most likely experiencing the pesky symptoms of bloating. Even if you’re not trying to fit into a bikini, no one likes to feel stomach discomfort, and it can be especially frustrating if you feel like you’re trying to eat the right foods and still experience bloating. Foods that contain a lot of fat and dairy are common culprits of bloating, but seemingly innocent foods like cruciferous vegetables, beans and legumes, and whole grains can cause bloating as well, due to their high fiber content. On the flip side, some foods actually help alleviate symptoms of bloating and can counteract its negative effects. If you find that you frequently experience stomach discomfort or bloating, try eating one some of the seven foods, which help counteract the negative effects of too much gas. 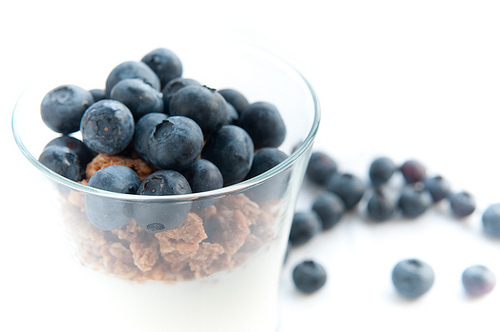 Yogurt contains probiotic bacteria that keeps your digestive system healthy, helping to keep things moving. Look for Greek or plain yogurt that contain active cultures to best reduce symptoms of bloating and help get your digestive system on track. 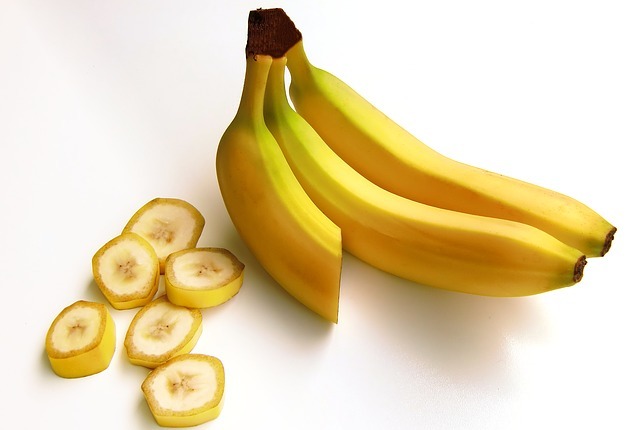 Since bloating is often caused by excess sodium in the body, bananas are a great choice for combatting belly bloat. This yellow fruit is high in potassium, which helps balance sodium levels in the body. Bananas also contain soluble fiber, which can help if things are a little backed up in your digestive system. 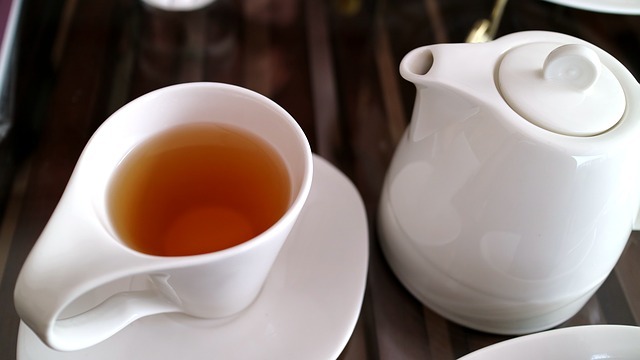 Peppermint tea has long been touted as a natural remedy for stomach issues, and science backs up these claims. Studies have found that peppermint can help people who experience Irritable Bowel Syndrome, helping to not only hydrate you and fight water retention, but to soothe stomach cramps and gas. 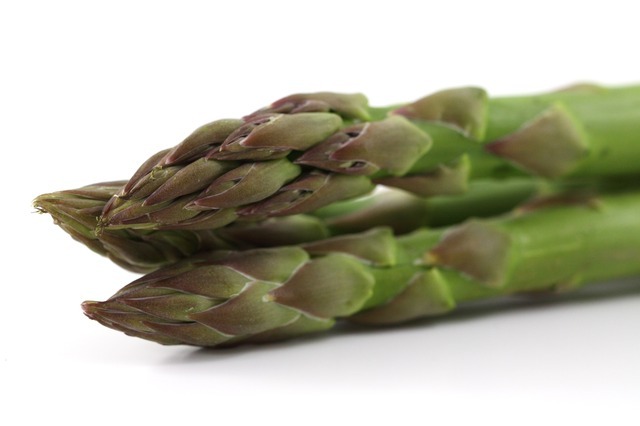 Asparagus is a great option when it comes to anti-bloating, as the vegetable contains what are known as “prebiotics:” fermented ingredients that help promote healthy bacteria and aid in digestion. These can help combat gas buildup and prevent constipation. 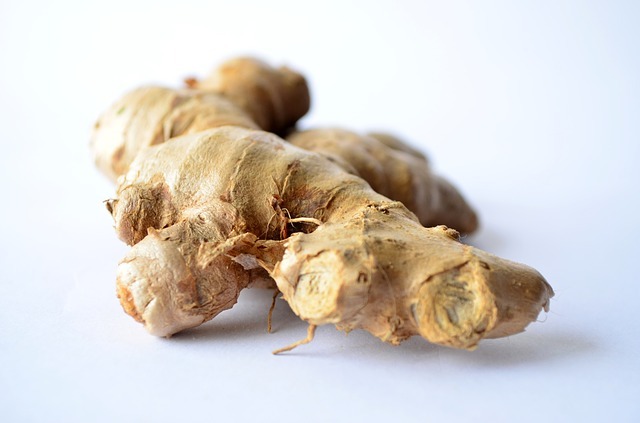 Since bloating is caused by a buildup of gas in your gastrointestinal tract, ginger is a great natural remedy to reduce stomach discomfort. The herb helps to soothe the digestive tract and relieve gas through its natural pain-relieving properties, which are known to help with stomach problems. Cucumbers have a high water content, which can help flush out sodium and other toxins from your body. The vegetable also contains an antioxidant called quercetin, which is known for reducing swelling. 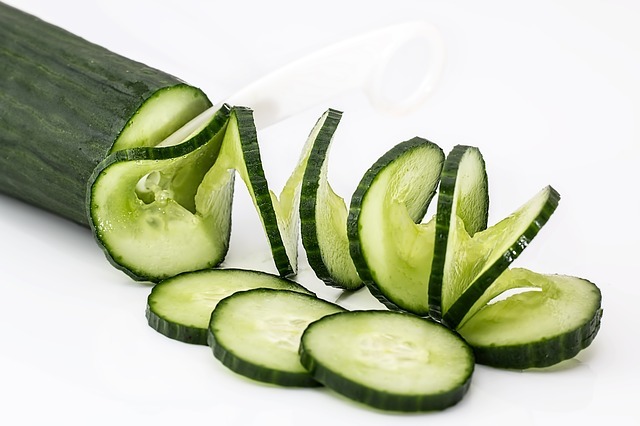 Cucumbers are a natural diuretic that are high in sulfur and silicon, but low in sodium, making them a great option for flattening your tummy. This fruit is not only a sweet tropical treat, but it’s a proven way to help normalize digestion. 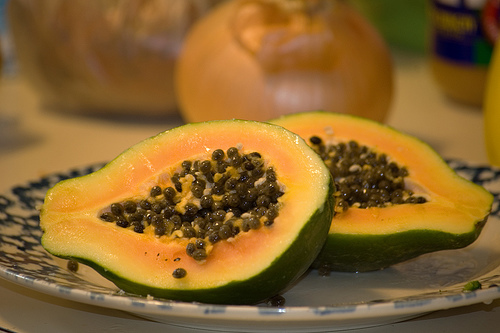 Papaya contains the enzyme papain, which helps aid your stomach by efficiently breaking down complex proteins, speeding up the digestion process.